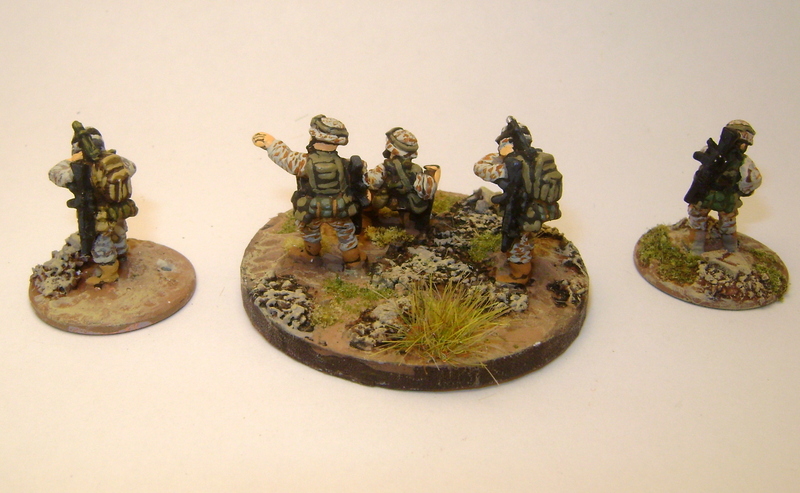 Well, it’s been a while, but things have finally eased up enough for me to start painting again (and posting). 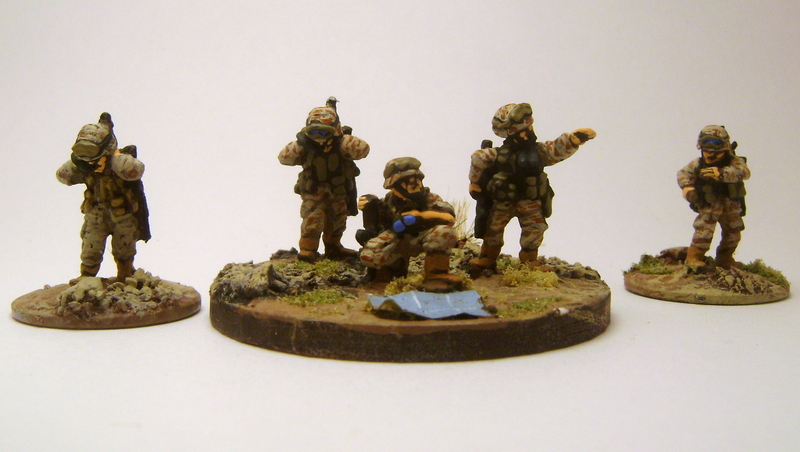 I thought I’d start of with some 15mm figures I recently painted – US marines and some Afghan troops. 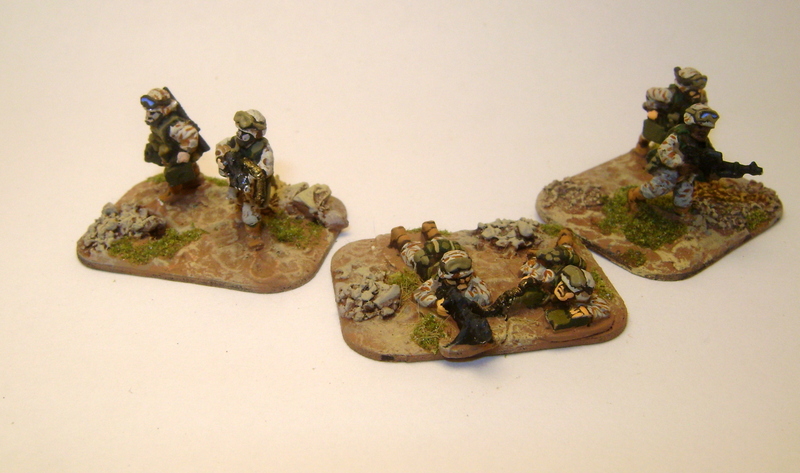 I started these so that I could play Cold War Commander with them, set in modern-day Afghanistan. I’ve also gotten to play them using the new Force on Force rules as well. I think FOF really works best with individually based figures, but these multiple bases work just fine with the rules.I don’t want to rebase them, since I still prefer CWC rules. 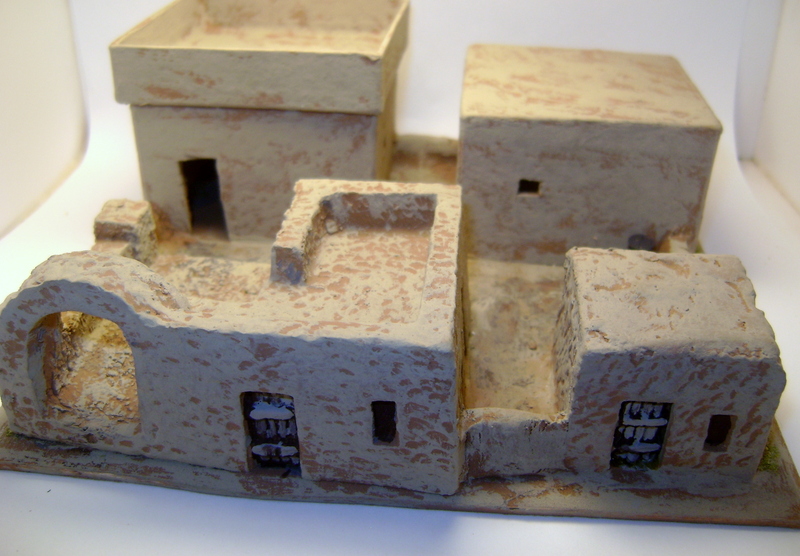 And besides, I put a lot of work into those bases and I don’t feel like tearing them up. 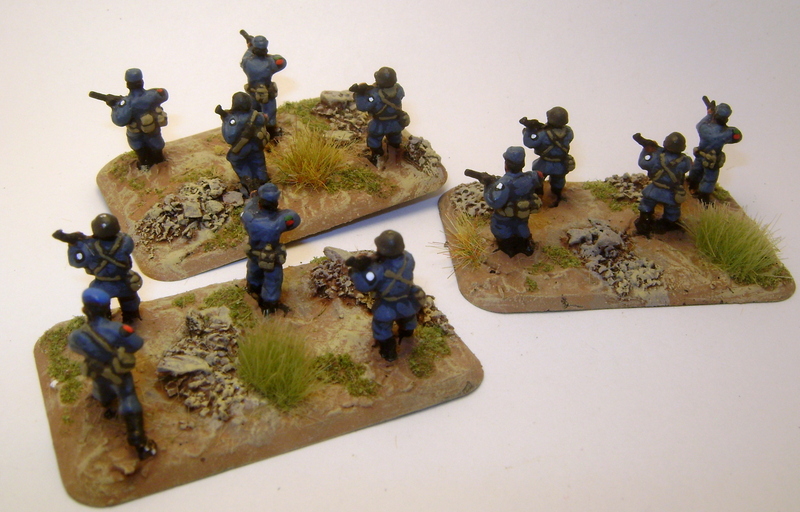 First up are some basic infantry stands. 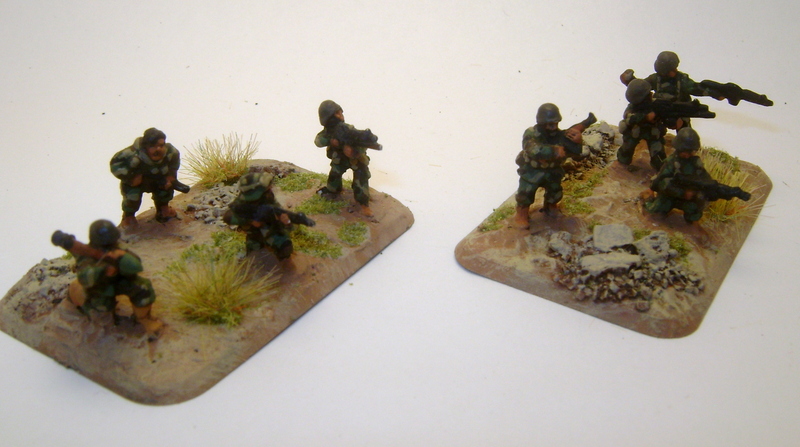 I based each stand with a grenadier, a SAW gunner, and two riflemen. Almost all of the figures in my marine force are Peter Pig. I really like the chunky, solid look of the figures. Next up are some MG teams. 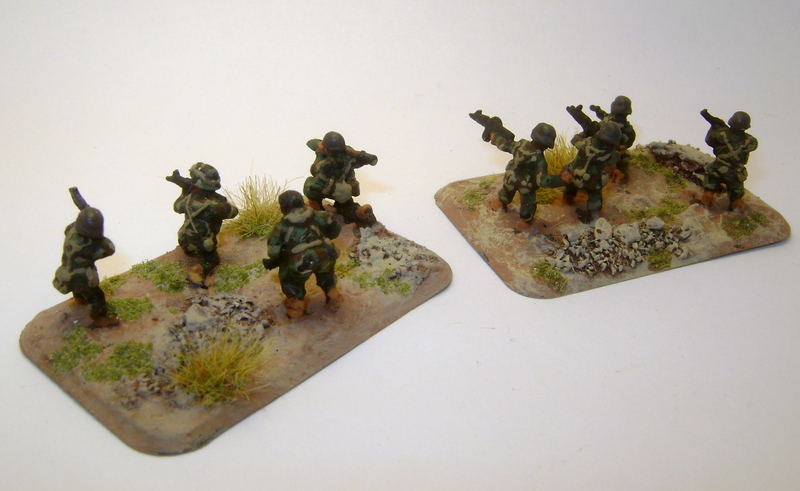 When I started this project, I was strongly leaning toward doing everything in the early war 3-tone camouflage because it’s a lot simpler to paint than the more modern digital patterns. I also googled around to see if other painters were coming up with a decent formula, but didn’t find one. But then I decided that I shouldn’t shy away from something just because it’s hard, and I took a stab at the MARPAT desert scheme. I still don’t think I did it quite right, but it looks fine at tabletop distance. I may keep playing around with the technique. 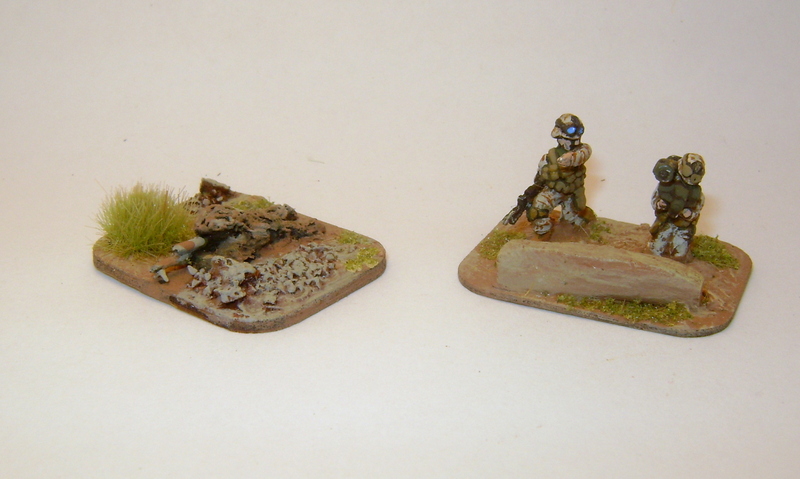 Next are a sniper in a ghillie suit and a javelin team. The sniper is actually a WWII US soldier from QRF. 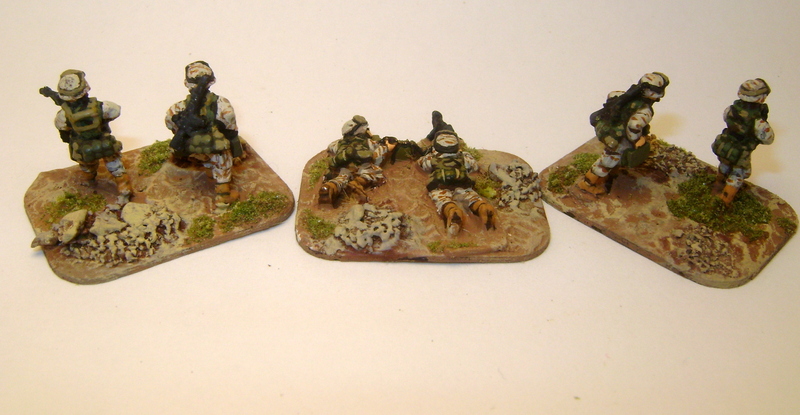 I just needed a good prone figure, really. I then covered him with putty and textured it. 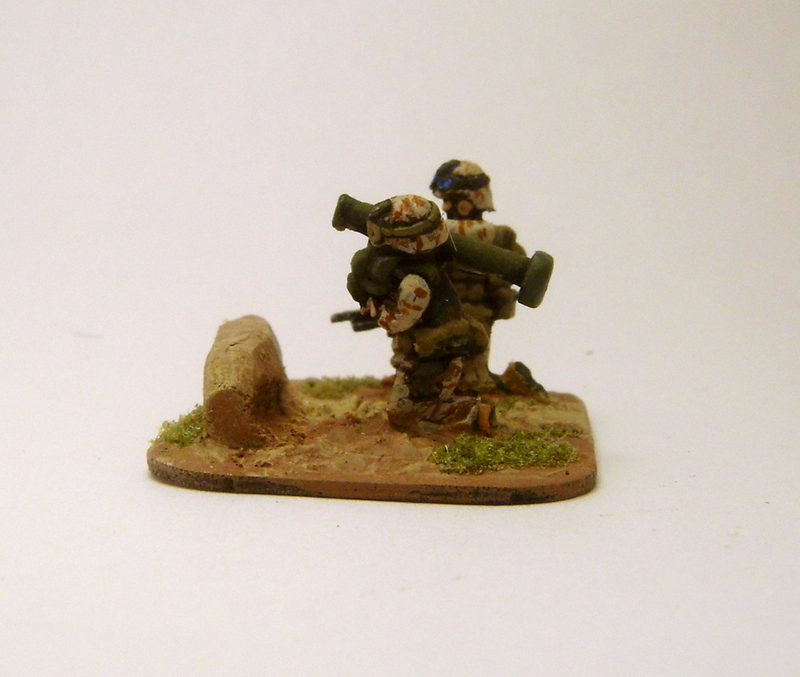 I also added a tiny piece of rod for the scope. 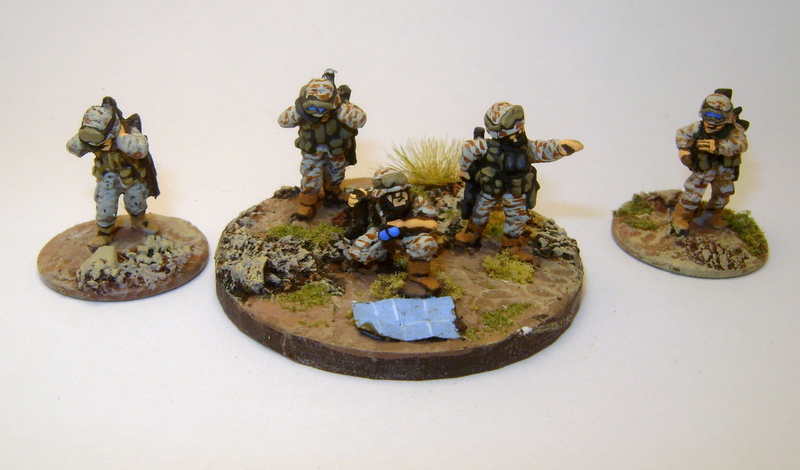 The javelin team is from Cannon Fodder Minis. 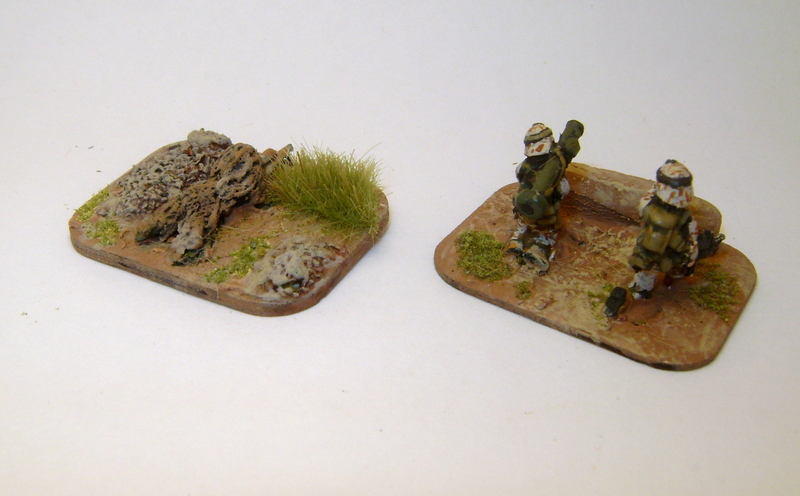 I really like the Cannon Fodder stuff, especially their Afghan insurgents and their 25mm Texas Independence figures. 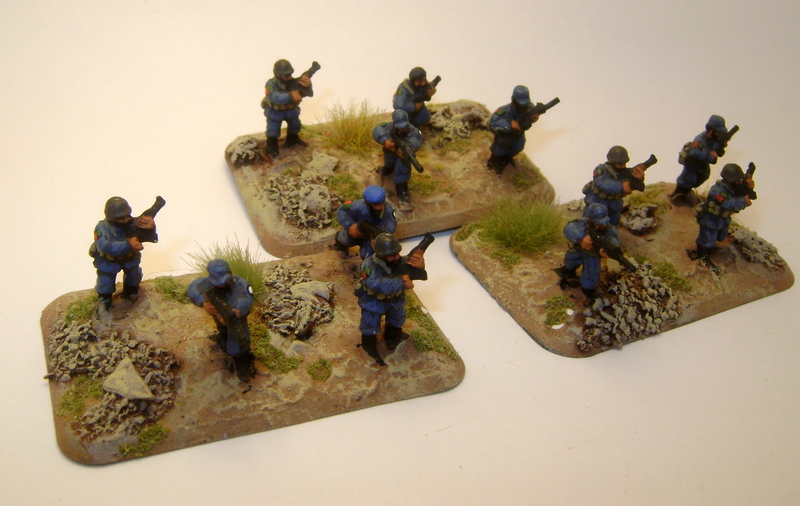 I think you can now get them through Blaze Away Miniatures. Yes, I know I used the wrong color on the javelin. Maybe I’ll go back and change it one of these days. Somebody’s got to tell these guys where to go, so here are the officers. 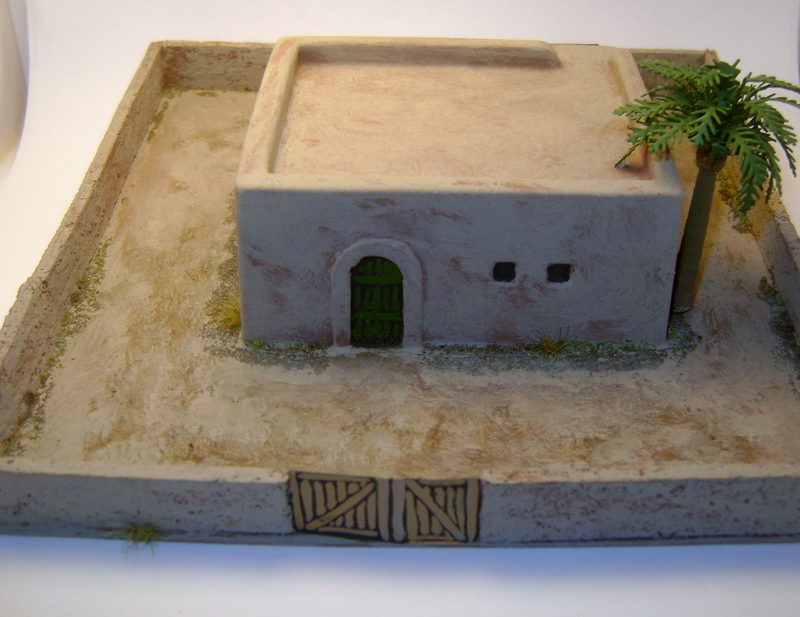 For my Cold War Commander battlegroups, I like to base command units on round bases (Bigger for the CO and smaller for the HQs, naturally) while infantry teams go on medium-sized FOW bases and support teams go on small FOW bases. The officer kneeling over the map is actually a conversion. 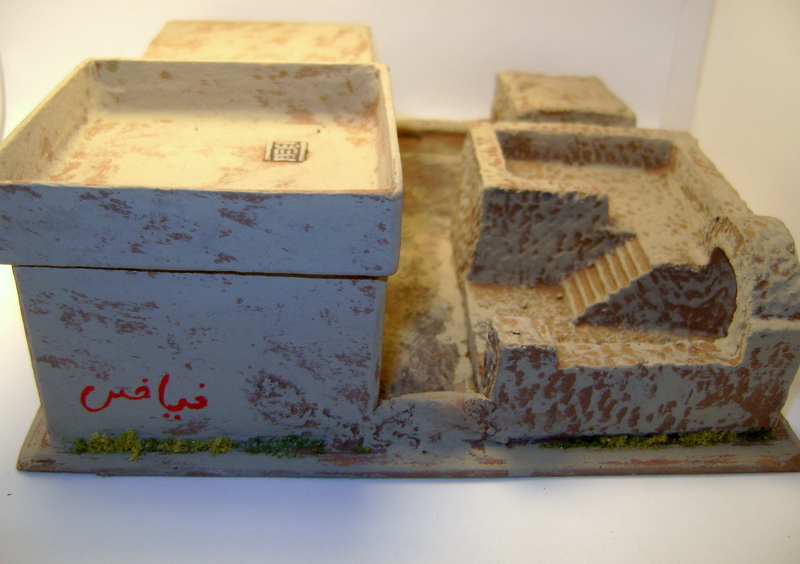 It’s the body of a Peter Pig figure from their Modern Africa range, with the head of a marine. Umm… Don’t look too closely at his rifle, okay? Let’s just say it’s not standard issue. But then, who’s gonna tell the boss he can’t do something? 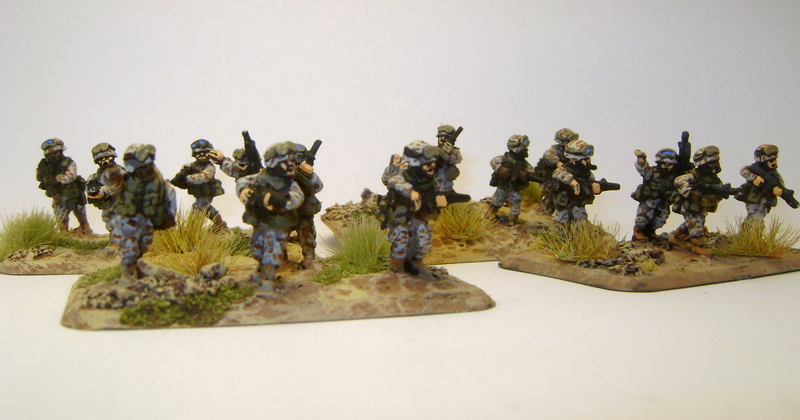 Next up are some Afghan National Army troops. For these guys, I basically just used all the extra Peter Pig and Old Glory figures I had floating around, which gives them a motley, under-uniformed look. But then, that’s pretty much how the real guys look, too, or so I can discern from photos.